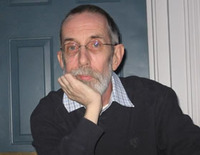 Keith Ian Giffen is an American comic book illustrator and writer. He is possibly best-known for his long runs illustrating, and later writing the Legion of Super-Heroes title in the 1980s and 1990s. He also created the alien mercenary character Lobo (with Roger Slifer), and the irreverent "want-to-be" hero, Ambush Bug. Giffen is known for having an unorthodox writing style, often using characters in ways not seen before. His dialogue is usually characterized by a biting wit that is seen as much less zany than dialogue provided by longtime collaborators DeMatteis and Robert Loren Fleming. That approach has brought him both criticism and admiration, as perhaps best illustrated by the mixed (although commercially successful) response to his work in DC Comics' Justice League International (1987-1992). He also plotted and was breakdown artist for an Aquaman limited series and one-shot special in 1989 with writer Robert Loren Fleming and artist Curt Swan for DC Comics. Giffen's first published work was "The Sword and The Star", a black-and-white series featured in Marvel Preview, with writer Bill Mantlo. He has worked on titles (owned by several different companies) including Woodgod, All Star Comics, Doctor Fate, Drax the Destroyer, Heckler, Nick Fury's Howling Commandos, Reign of the Zodiac, Suicide Squad, Trencher (to be re-released in a collected edition by Boom! Studios)., T.H.U.N.D.E.R. Agents, and Vext. He was also responsible for the English adaptation of the Battle Royale and Ikki Tousen manga, as well as creating "I Luv Halloween" for Tokyopop. He also worked for Dark Horse from 1994-95 on their Comics Greatest World/Dark Horse Heroes line, as the writer of two short lived series, Division 13 and co-author, with Lovern Kindzierski, of Agents of Law. For Valiant Comics, Giffen wrote XO-Manowar, Magnus, Robot Fighter, Punx and the final issue of Solar, Man of the Atom. He took a break from the comic industry for several years, working on storyboards for television and film, including shows such as The Real Ghostbusters and Ed, Edd 'n' Eddy. 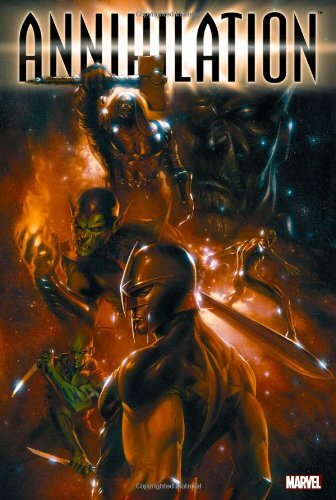 He is also the lead writer for Marvel Comics's Annihilation event, having written the one-shot prologue, the lead-in stories in Thanos and Drax, the Silver Surfer as well as the main six issues mini-series. He also wrote the Star-Lord mini-series for the follow-up story Annihilation: Conquest. He currently writes Doom Patrol for DC, and is also completing an abandoned Grant Morrison plot in The Authority: the Lost Year for Wildstorm. The Justice League is still here to save the world...1,001 years into the future, that is! But are they too late? As the evil Lady Styx and her legion reigns over the Commonwealth, an all-new Justice League rises from the ashes of the old. But can they topple a tyrant who's embraced by the very people she's conquered, even with the help of Supergirl from the past? In order to do so, they'll have to defeat Lady Styx's most lethal agent: Eclipso! The beloved creative team of J.M. 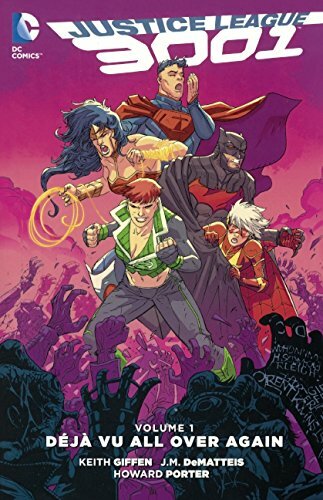 DeMatteis and Keith Giffen (JUSTICE LEAGUE INTERNATIONAL) are back for another round with tomorrow's World's Greatest Heroes. 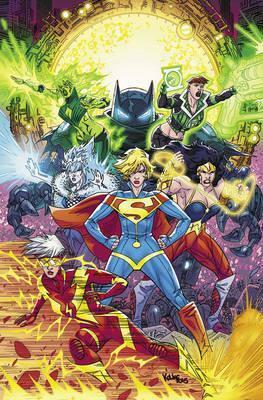 Collects JUSTICE LEAGUE 3001 #7-12.